Well, I've really got to go now so thanks for stopping by and I shall see you all tomorrow! So my sister Tracy fosters rescue dogs and yesterday she had to take one of the dogs to meet his new potential owner in North Bend. That is about a three hour drive west from us and since I had the day off I offered to drive her and her pups there. The meet went well and it looks like the dog may finally have his forever home. Once that was done we turned right around and came back home but I got to stop in Wenatchee and do a bit of crafty shopping at Craft Warehouse before making the final leg of our trip. 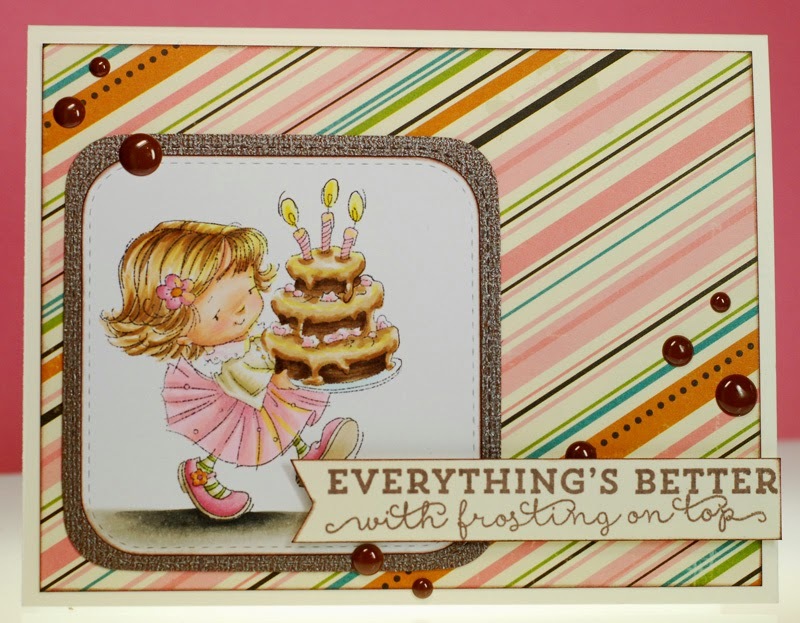 I found a bunch of great new dies and stamps that were on my wish list and some were even on sale... score! But boy, was I tired once I got home, in the last three days I have nearly driven the entire length of Washington state! Now I'm off to get ready for a long day of work. 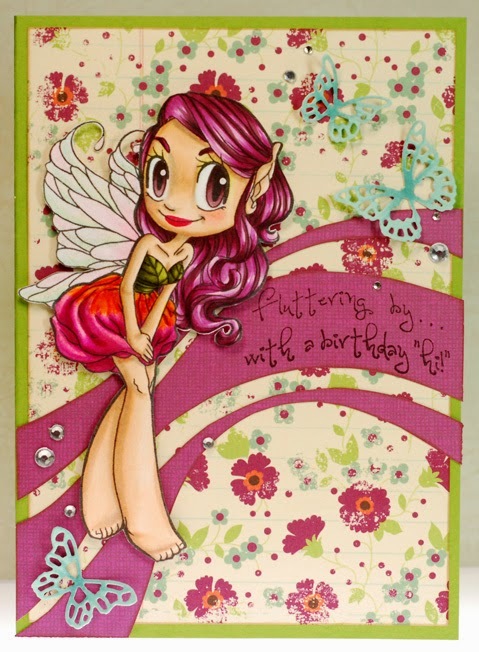 For my card today I've colored up the Shy Fairy digital stamp from Some Odd Girl. Unfortunately I don't see her in the shop anymore so I couldn't link her up. I actually colored Shy Fairy up a couple days ago without having pulled any papers to go with her and once I found these old Making Memories scraps I was kinda kicking myself. Originally I had colored her skirt in a yellow and bright pink combo but once I had that floral print I needed to make some changes. So I added the orange over the yellow and I didn't get as nice a contrast as I would have if I had just started with orange in the first place and I also darkened the pink of the skirt to go a bit more purple. In the background I stamped the sentiment onto the purple paper and then free hand cut the swooshes following the curve and flow of the words. I really like the movement it adds to the over all design. Yesterday was fantastic but long so I ended up sleeping in this morning... yikes! So I'll have to share about my trip tomorrow because I've barely got time to do this quick post for my card. 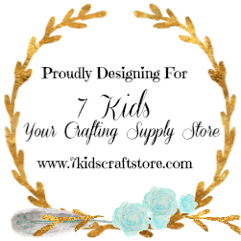 Mondays seem to be my TGF Farm Fresh challenge days and I've got one for this week's 'Anything Goes' challenge. Day Off Anya seemed to have just the right attitude for this kind of laid back challenge. 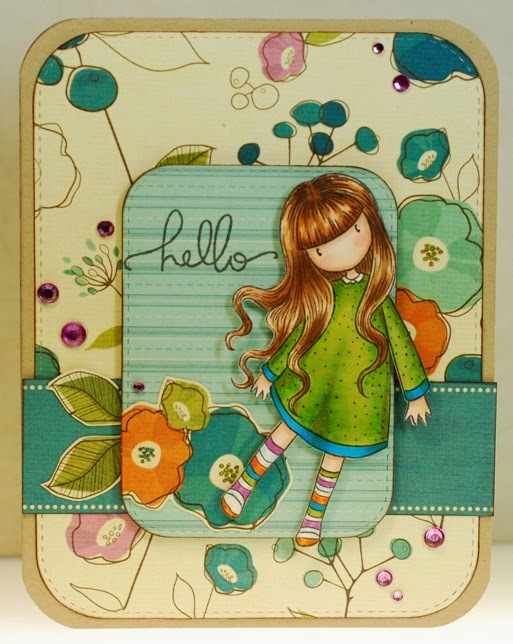 She's paired up with some random paper scraps that I pulled and a Paper Smooches sentiment that I stamped and fussy cut out. Ok, sorry guys but I've really got to run! 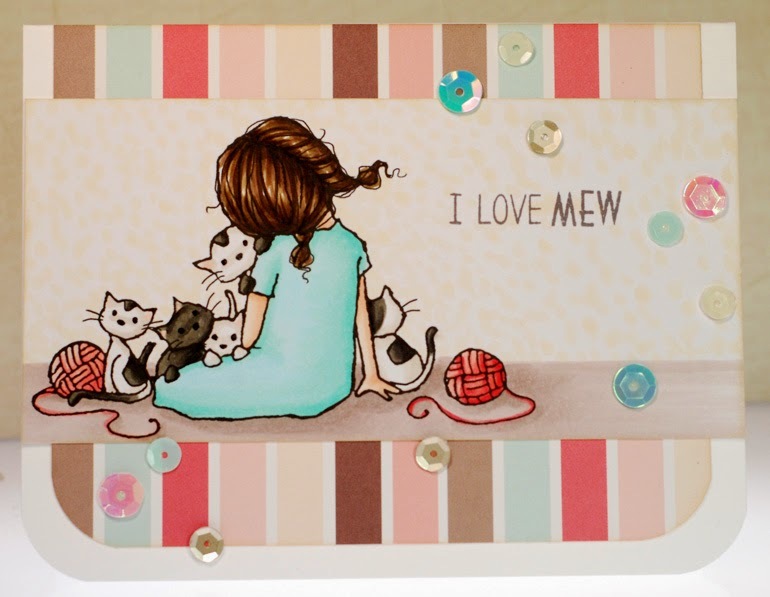 TGIF my friends and fellow card makers! Ok, I'll see ya all on Monday. Have a fabulous weekend! 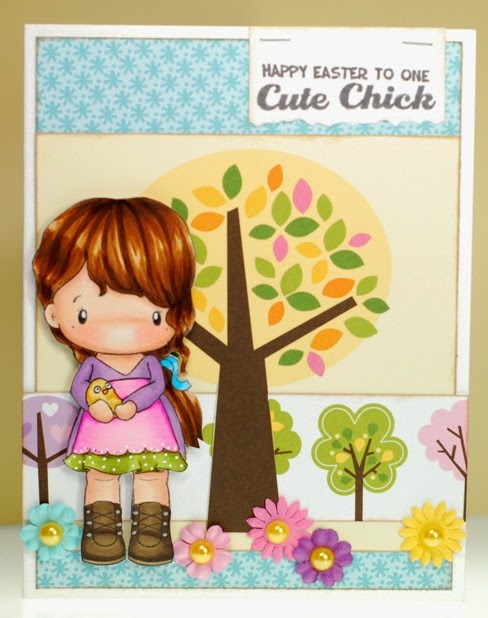 I'm playing along in this week's sketch challenge over at My Favorite Things with a new Pure Innocence cutie that I just got my hands on. She's called Woof You and I couldn't wait to ink her and her puppies right up. I did a bit of altering to simply lengthen her pigtails which I think makes her look a bit older. The papers all come from the newer Homegrown paper pad by Pebbles which I chose because now she seems to be going for a neighborhood walk with her puppy pals. 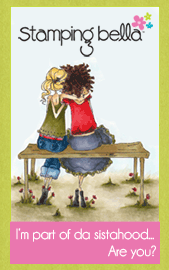 I've got a super simple card to share with you today. 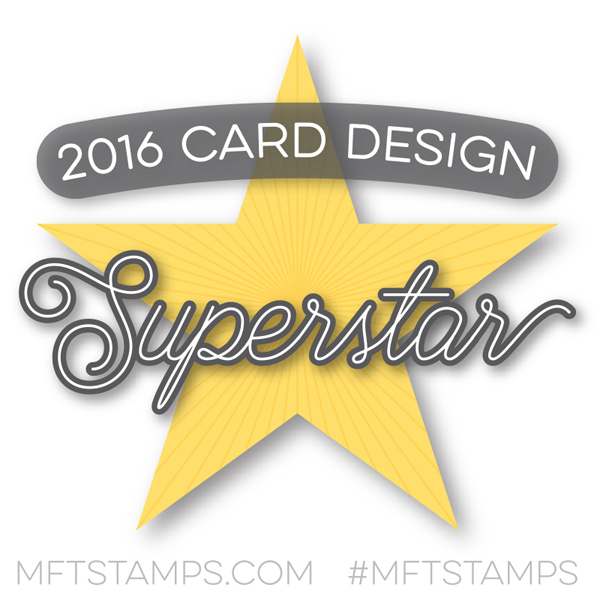 Once again I've gone sans embellishments and am just relying on the stamping and coloring to pull this all together. 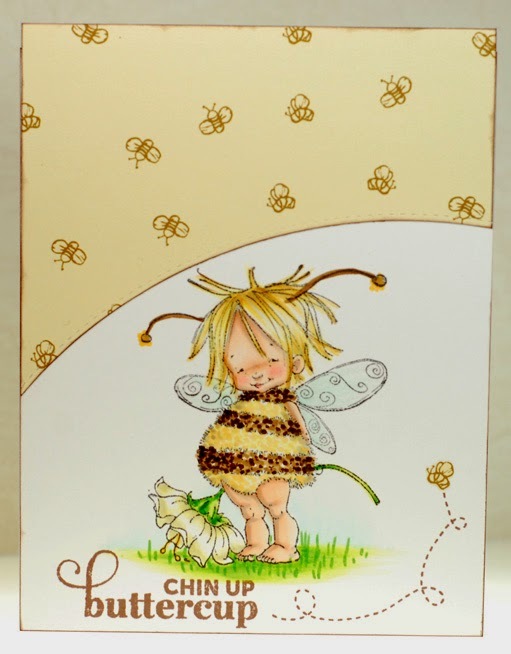 I've inked up the bee-autiful baby bee from the the Penny Black Cute as a Bug set and colored her in yellows and browns to match that sweet bee paper up above. I really wanted to make her costume look soft and fuzzy just like a little bumble would be. 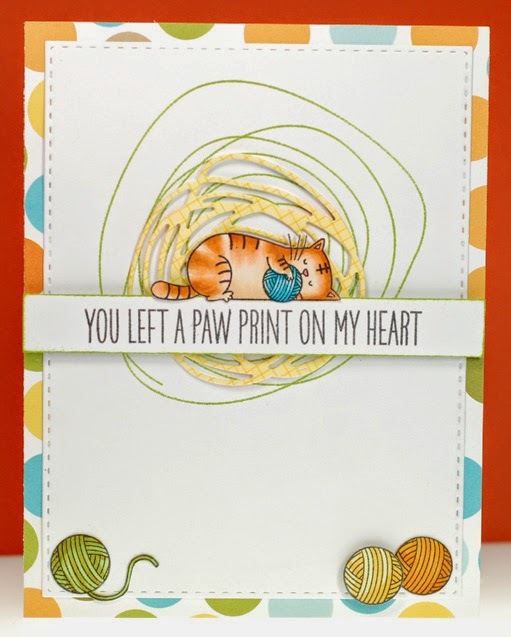 I pieced the sentiment and that buzz line together from two different stamp sets because I wanted to mimic the curve of the paper down below on the opposing side, I think it adds a nice balance to the overall design of the card. Then I fussy cut a bee from the paper and added it as my lone embellishment but I really don't think this needed much more. Well, I should go get ready for the day. 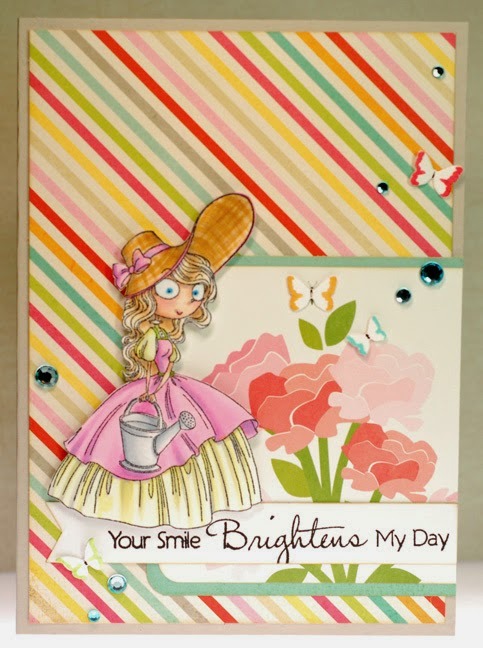 It's Monday so once again I am playing along in this week's Farm Fresh challenge over at The Greeting Farm. 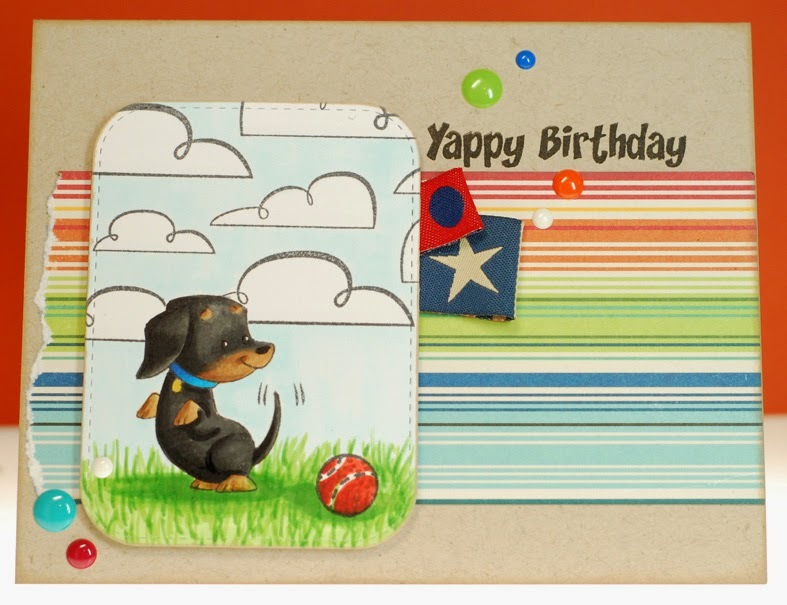 The theme is 'Pick 3' and I chose dies, enamel dots, and a Prima flower for the three types of embellishments to add to my card. 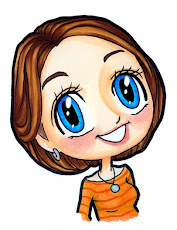 This cutie here is Rose, whom I got from being a member of the Super Secret Stamp Club. Marie recently announced that these new girlies are part of the Gloomsberry Charm School line at TGF. 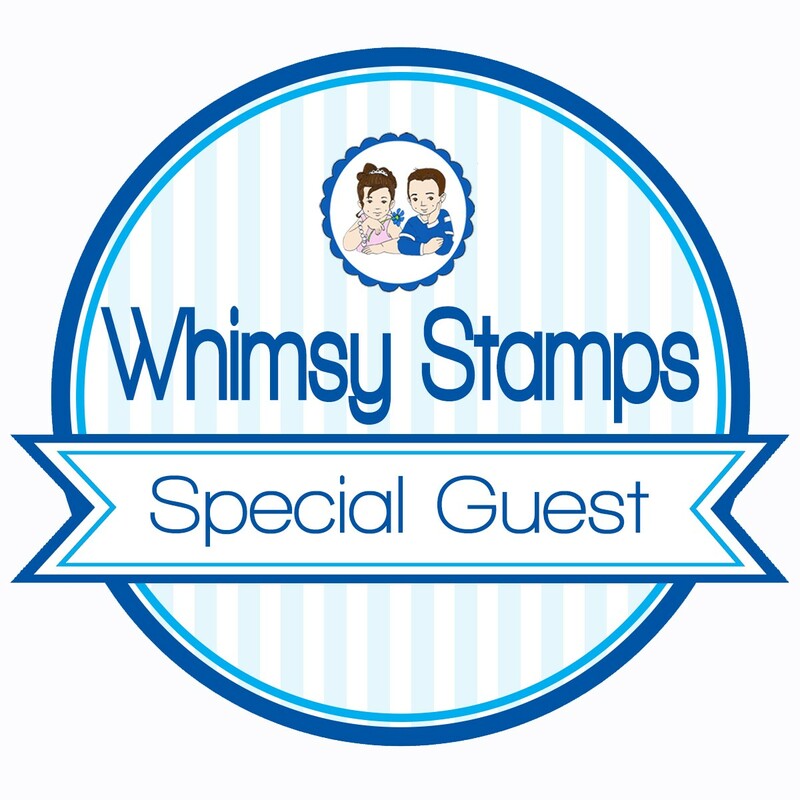 Being the complete stamp nerd that I am I love that they now have a category of their own, like the Sprouts, Beans, Cheekies, and Creepers etc. It made my little heart happy to add this new collection name to the binder I keep them stored in. The papers are a mix of scraps I had on my desk but I love how those colors pop against the black polka dot print. I guess these Gloomsberry girls like a touch of darkness, LOL! I've got the day off today and it is shaping up to be a gorgeous weekend here. Temps in the low 80s and the apple blossoms are blooming... I can't wait to get out there and soak it all in. It's even getting to the time of year when I can start thinking about all the flower pots around the house and what to plant. 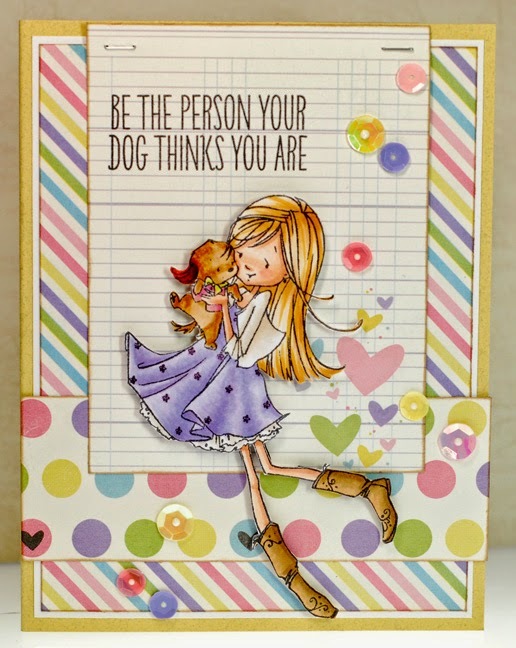 I think that is why I pulled out Mary, Mary Quite Contrary to ink up for this card I made for the 'Anything Goes' Kraftin' Kimmie challenge. Not that I personally get that decked out while diggin' in the dirt but she sure looks prim and pretty, LOL! For some reason Mary's dress looks more purple than pink in this pic but in real life it matches the light pink stripes in the background. I even used my Copics to color the edges of the little die cut butterflies so they matched the stripe paper as well. Alrighty, I'm off for a quick walk with the pupper. 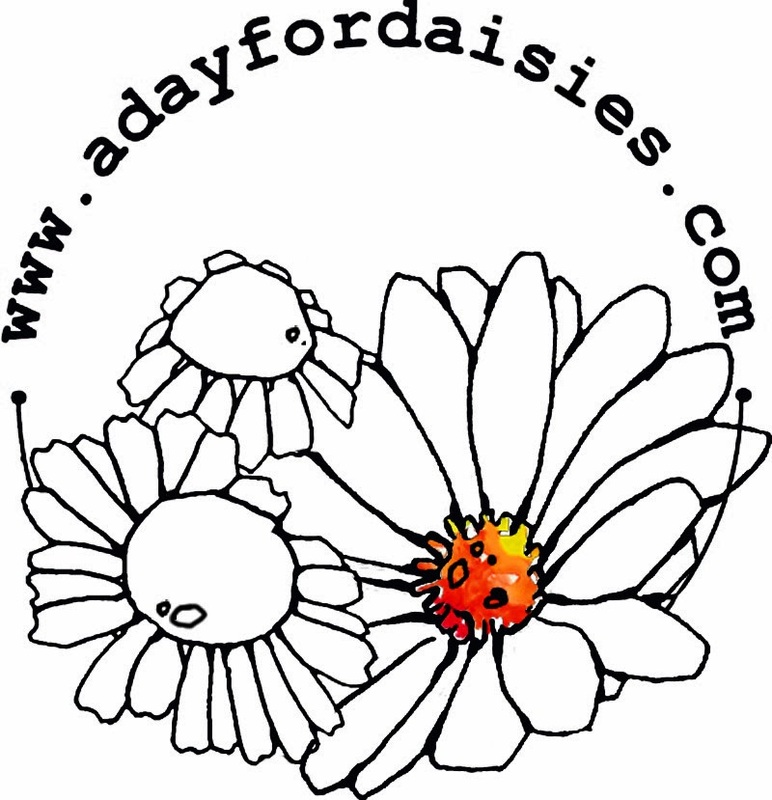 I was a lucky girl and won the last challenge over at A Day for Daisies and I got this totally adorable Tiny Pixie Leaf with my gift certificate. I couldn't wait to color her up because I really wanted to try my hand at making it look like her long brown hair had been wound up high on top of her head. I'm pretty happy with how it turned out, she looks like a tiny little Rapunzel with all that hair, LOL! 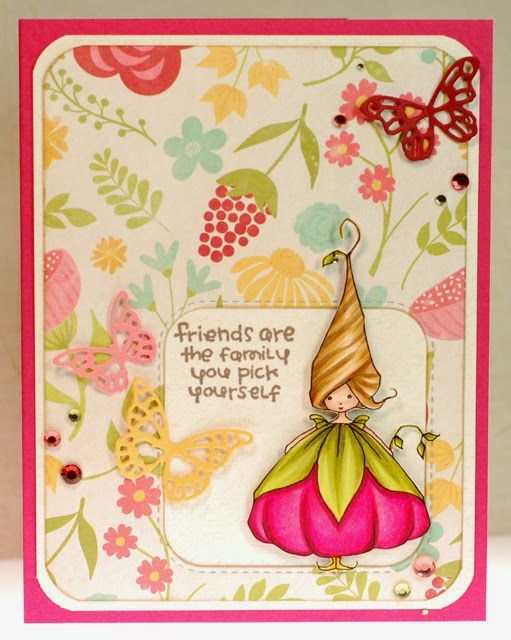 I paired her up with a pretty floral print from Jillibean Soup so that this Tiny Pixie Leaf had a lovely garden to live in. And since the new challenge at ADFD is 'Anything Goes' I'm going to go ahead and try my luck and enter this card into the mix. 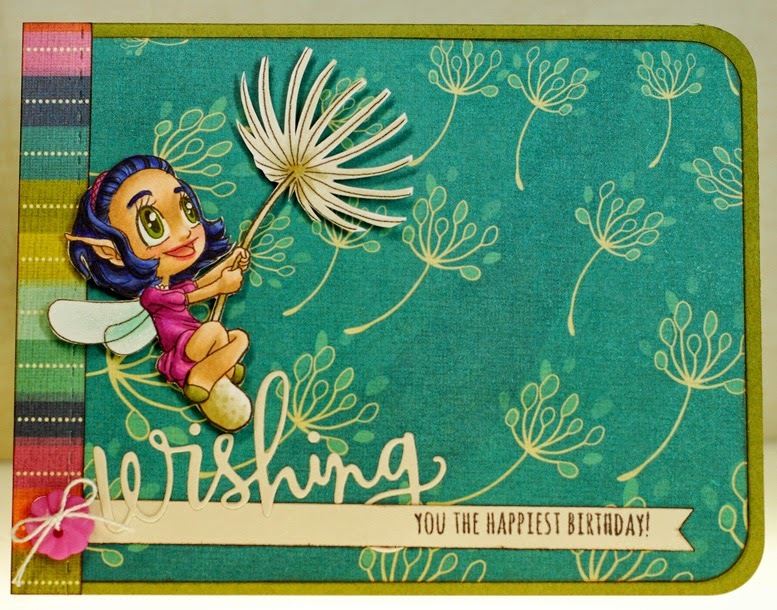 So when I was pulling papers for my card yesterday I also found this whimsical dandelion paper from the same Vintage Blue collection and knew that I had the perfect stamp to pair up with it. 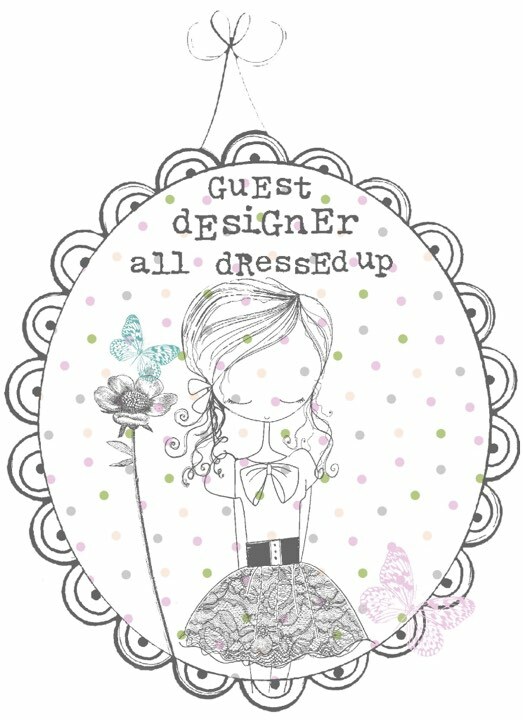 This digital stamp is Fly Away Fairy from Some Odd Girl and I would link her up but sadly it looks like she has disappeared from the SOG store. This little fairy looks so full of joy as she catches a ride on the breeze that I wanted to color her up in some fun and different colors. Thus the dark blue hair and bright purple dress... I think it makes her stand out in a crowd, LOL! Well, that is all I've got for ya today. Well, thanks for dropping by and I hope your week is off to a great start! I'm enjoying a day off today and if it stays nice I'm thinking about taking a nice long walk with the pupper. I got a Fitbit at the beginning of February and it has been a great motivator for me to get out and move more. Ok, I've got another busy day ahead of me so I've got to get a move on. 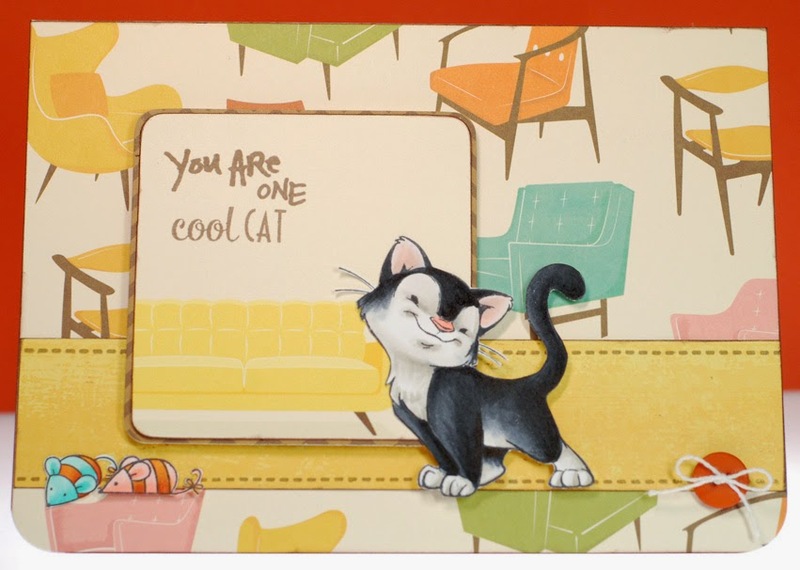 I'm also entering this card into the Anything Goes challenge over at The Sugar Bowl 'cause it's always fun to play along over there. I actually picked this old scrap of paper by SEI because the colors matched the sequins I wanted to use for the ADFD Sequin challenge. I thought the soft colors gave the scene a peaceful and serene kind of vibe. Well, I should get myself ready for the day. 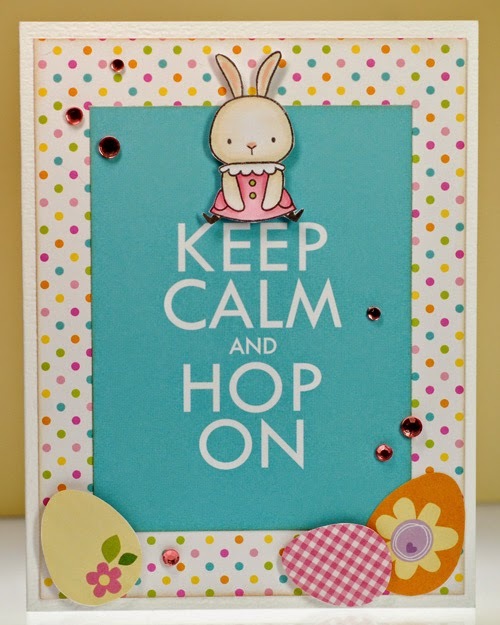 As much fun as I had making Easter cards I have to admit that I'm kinda glad to be moving on to other themes now. 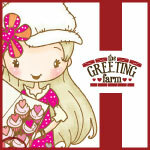 And my first one out of the gate is for this week's Farm Fresh Friday challenge over at The Greeting Farm. 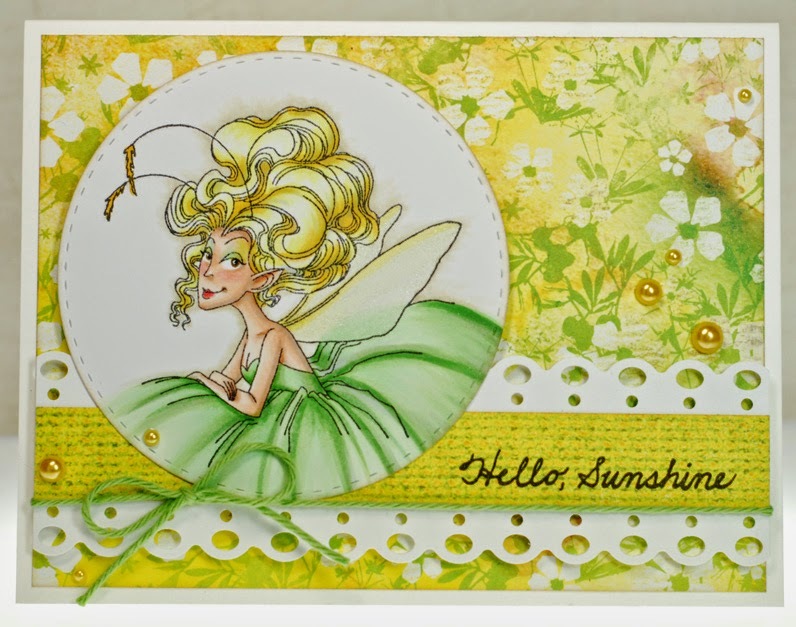 The theme is 'Spring Showers' and you can add clouds or rain to your card. 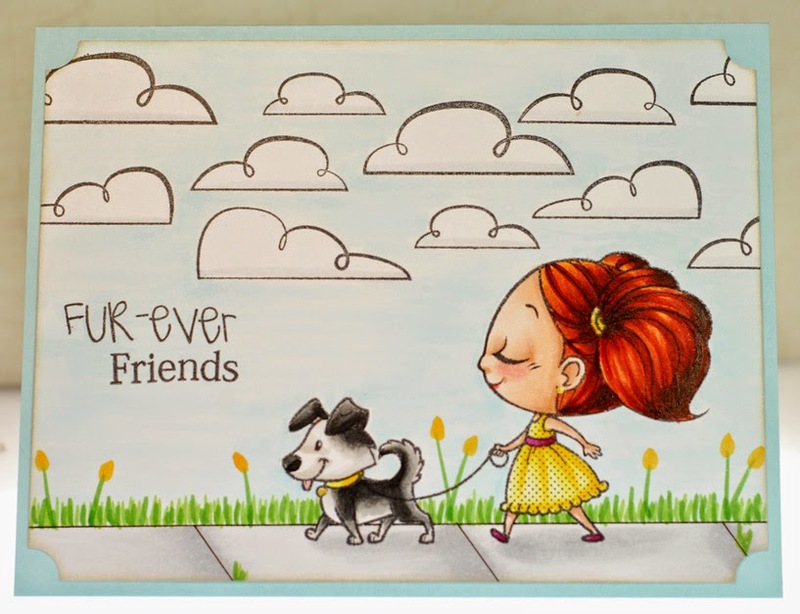 As soon as I saw that I knew just what I wanted to use... this cloud background stamp by October Afternoon. 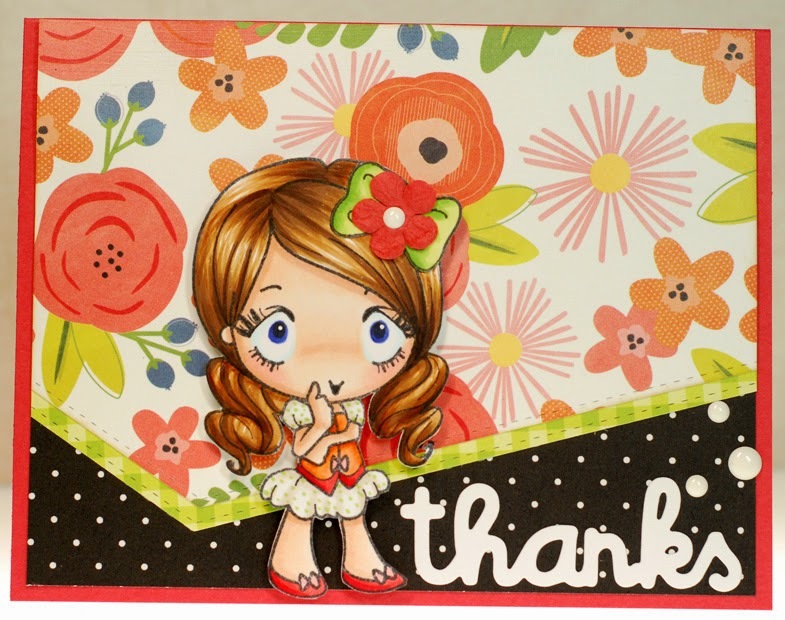 It is actually a large 4x6 background cling stamp but I cut it up into about five pieces, some big and some small, to really use them in a customized way. And as for my character stamp I was just itchin' to ink up this pair of pals from the Furever clear set that I purchased last month. I did a tiny bit of altering to add a little nose to the girl's profile but that is it. I continued on adding the sidewalk and coloring in the grass and flowers to complete the entire Sunday stroll scene. 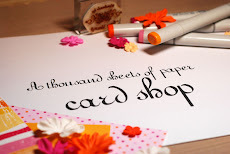 No pretty papers, no embellishments even, just stamping and coloring which is not the norm for me. 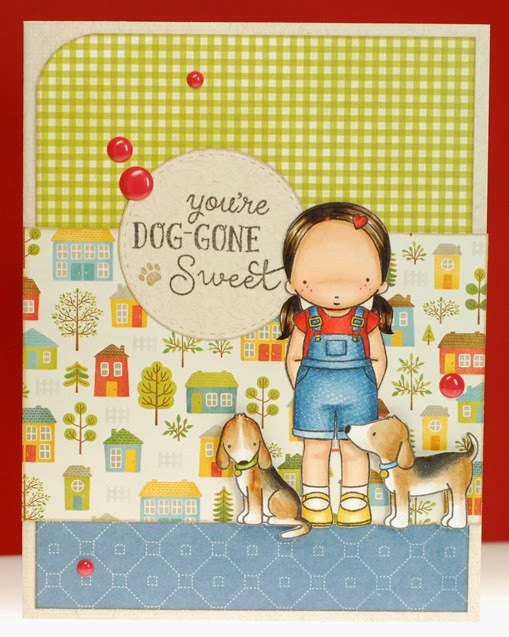 The sentiment is a combination of two different sentiments that came with the set. I have a tendency to cut apart my clear sentiments quite often so that I get more mileage out of them. 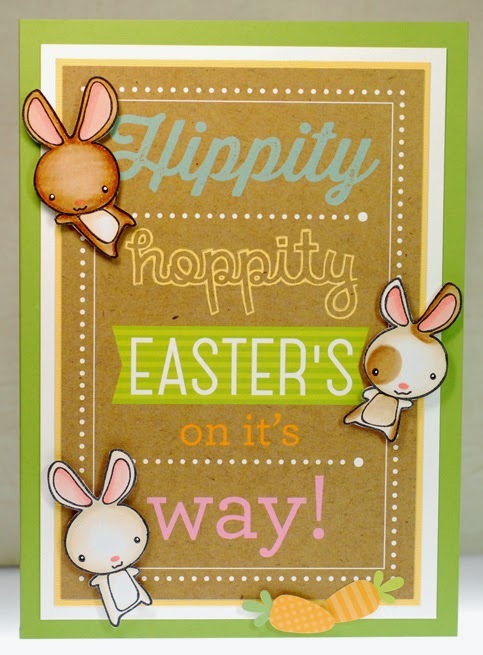 Today I'm just gonna wish everybody a very Happy Easter and a wonderful weekend. Oh and if you haven't tried the Bubble Gum flavored Peeps (Sweet Lemonade is pretty good too) this year I highly recommend you grab a pack before Sunday, LOL! Ok, I've got to wrap this up and get a move on. This is gonna be a quick post as I'm in a bit of a rush this morning. Something about the middle of the week always has me feeling like I'm running behind... sheesh!